Add short-hop wireless to your Feather with these RadioFruit Featherwings. 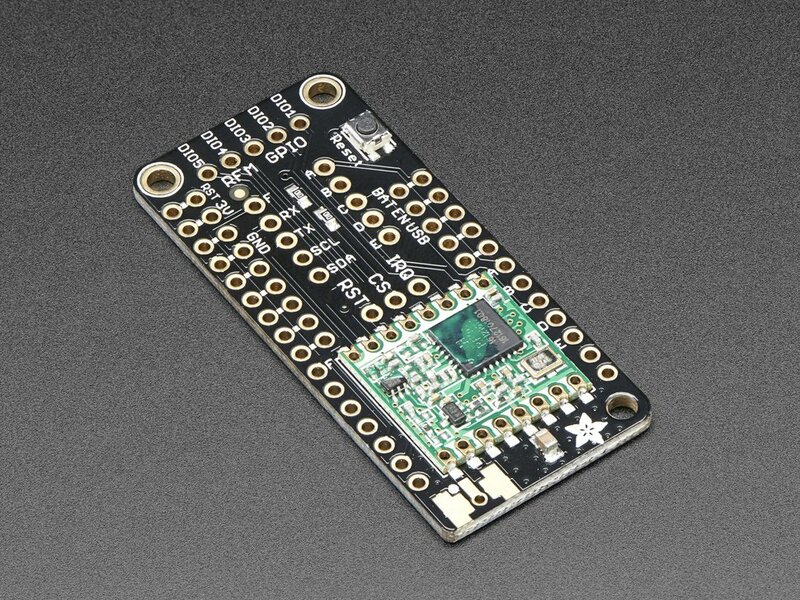 These add-ons for any Feather board will let you integrate packetized radio (with the RFM69 radio) or LoRa radio (with the RFM9x's). These radios are good options for kilometer-range radio, and paired with one of our WiFi, cellular or Bluetooth Feathers, will let you bridge from 433/900 MHz to the Internet or yï»¿our mobile ï»¿device.